Imagine coming home to this gorgeous 2-story. Covered front patio w/dry-stack stone exterior, 9 ceilings on main lvl, Transom window at front entry, partial, unfin bsmt. 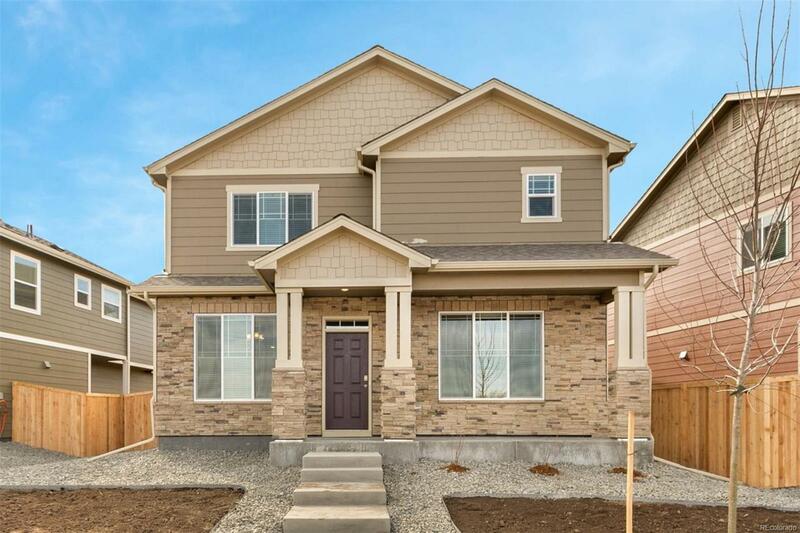 Kit includes eat in breakfast bar (expansive counter/cabinet space), pantry, gas ss appl, slab granite counters w/undermount sink & chrome pull out faucet, dark cabs w/crown molding, + beautiful weathered luxury vinyl plank on the entire main level. Tankless waterheater, Home is Connected package, Lever door handles, LED lighting, garage door opener, & window coverings. Front & backyard landscaping w/irrigation & rain gauge. Backyard fence included. This home has no wasted space and is designed for complete livability. 8 Acre LC community park, close to the Pace Center, Mainstreet Parker (shops/restaurants), Library, Ice Trail at Discovery Park, dog park, and disc golf course. Easy access to I-25/C470, park-n-ride, & the RTD Light Rail. Builder 2-10 Limited Warranty. Photos are representative, not of actual hm.